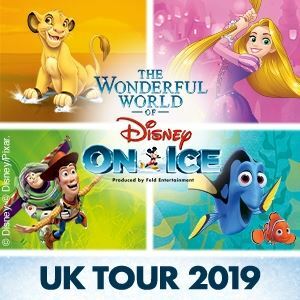 The Liverpool Echo Arena welcomes the wonderful World of Disney on Ice from Wednesday 17 April until Sunday 21 April 2019. It’s the latest massive tour from the brilliant Disney themed ice skating show which appeals to fans of all ages, with an incredible mixture of characters, songs and dazzling routines. From Mickey Mouse to Frozen with characters from Finding Nemo, Toy Story and many more classic films these are very popular events so advance booking is advised. Check with Ticketmaster here for availability for Disney on Ice in Liverpool. 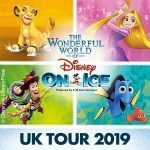 Get ready for the thrilling new live ice skating spectacular The Wonderful World of Disney on Ice coming to the London SSE Wembley Arena from 13th to 17th March 2019. It’s going to be another incredible show from this brilliant team who have been putting on these lavish events for over two decades. With Disney favourites from The Lion King, Tangled, Frozen, Toy Story and plenty more it’s the perfect half term entertainment for all the family. With matinee and morning shows on Saturday 16 and Sunday 17 March there’s plenty of opportunities to catch The Wonderful World of Disney On Ice in London.